Things that Matter: The Ink Road | Layout + Process Video + Giveaway! The Ink Road | Layout + Process Video + Giveaway! Hello! 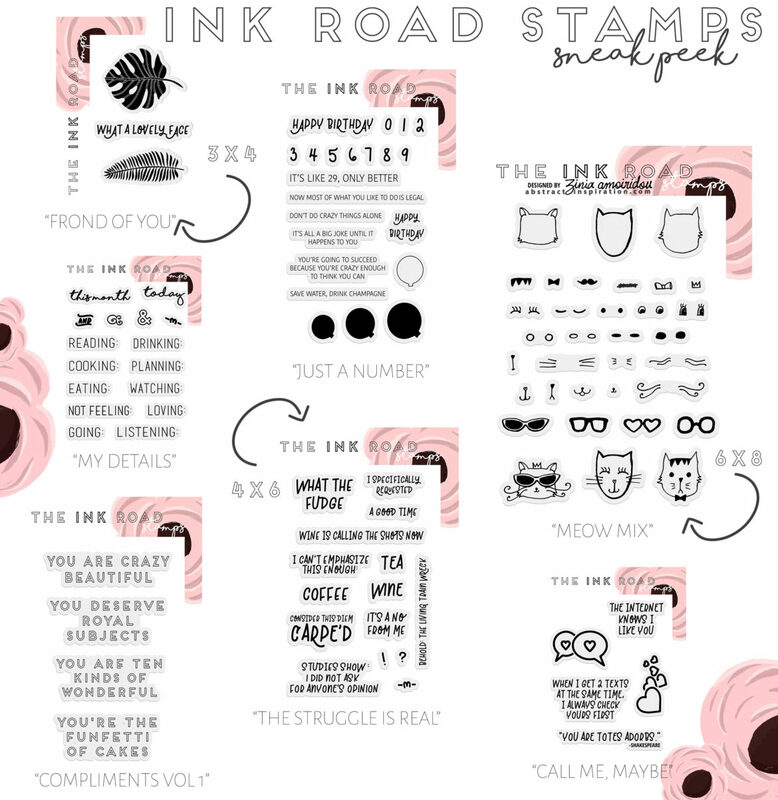 I'm happy to share some fun new stamps from The Ink Road with you today. 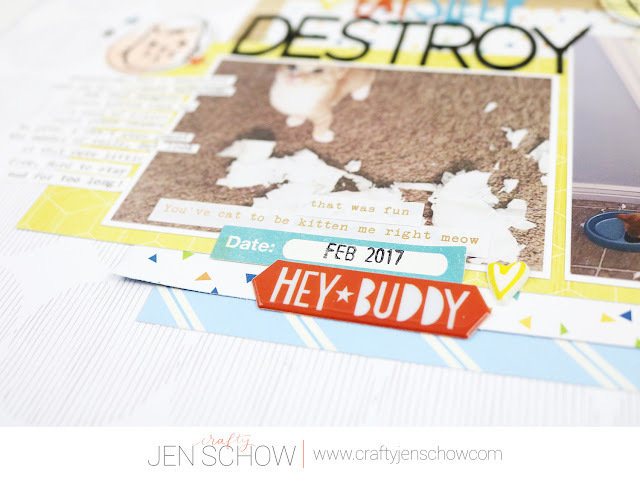 This is their first stamp release and it's super fun and snarky - which I love! 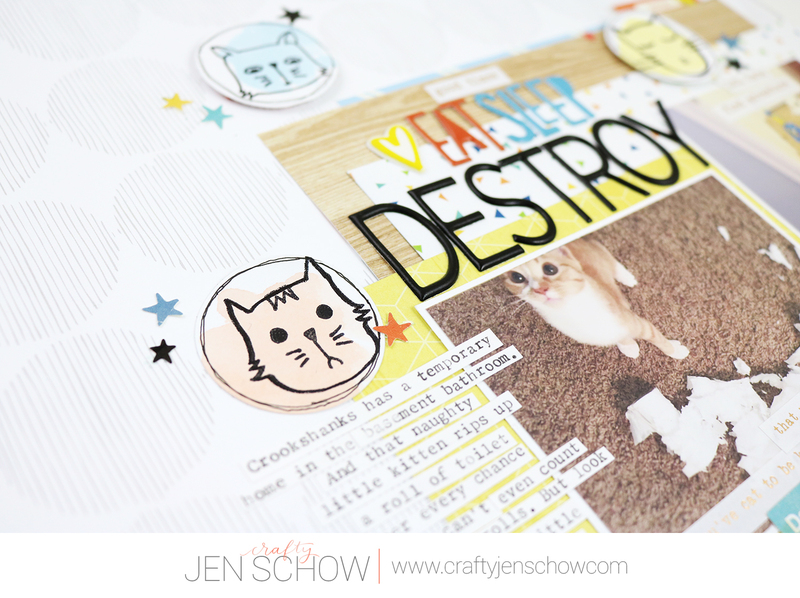 I used my favorite set from this release, Meow Mix, to create a layout about our naughty little kitten, Crookshanks. 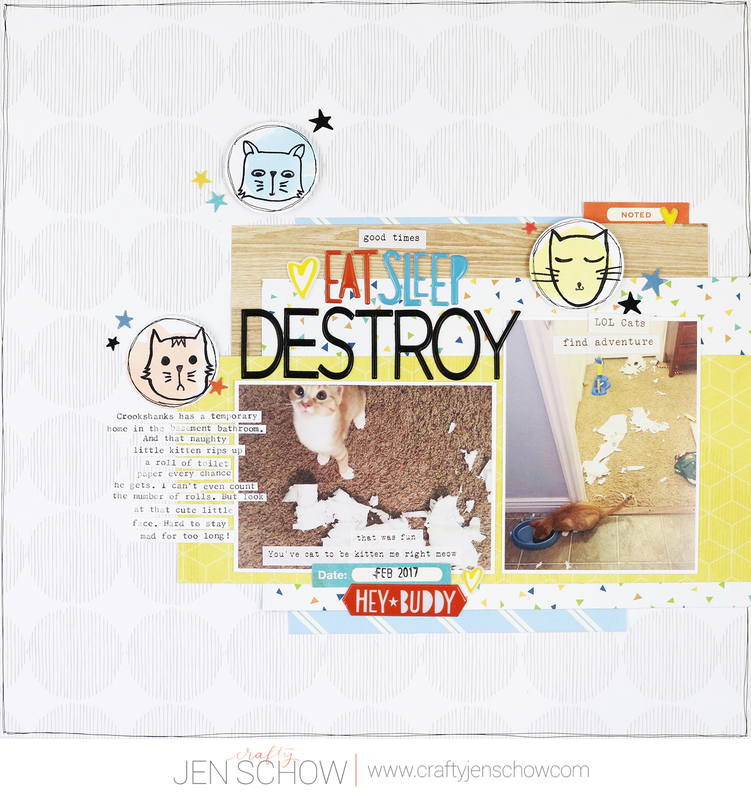 I used some fun new stuff from Pinkfresh Studio + some scraps for my background. I used some watercolors on scrap cardstock, stamped out some cute/silly cat faces, and die cut them into circles. I used some of the Crate Paper Cool Kid collection and it worked perfectly for this story. I added some cat word stickers from Seven Paper (no longer a thing) and love the silly cat phrases. 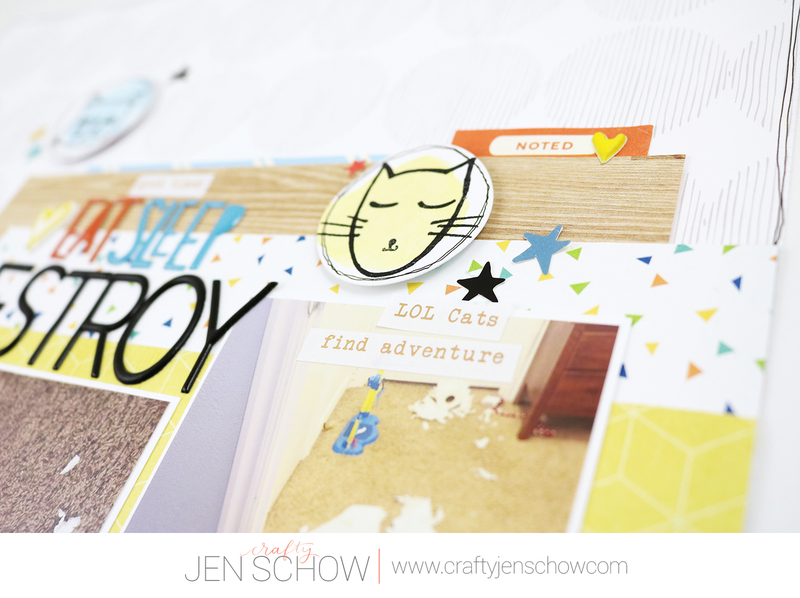 I added a little bit of detail with a black pen around my die cut cats and the outer edge of the page to finish it up! Now for the fun stuff! Lara Smith from The Ink Road has generously offered to give away a $15 gift certificate to one of my readers/subscribers. Please watch the video below to learn how to enter and leave a comment on the video, not on this blog post to be entered to win! Good luck! I have linked to all available products used in my layout below. Please let me know if you have any questions and thanks for stopping by!